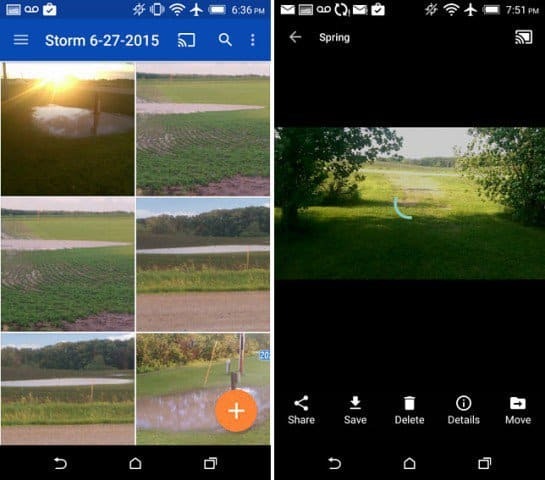 The Microsoft OneDrive app for Android was recently updated and has includes the ability to beam your photos and videos to your TV via Chromecast. Here’s a look at how it works. 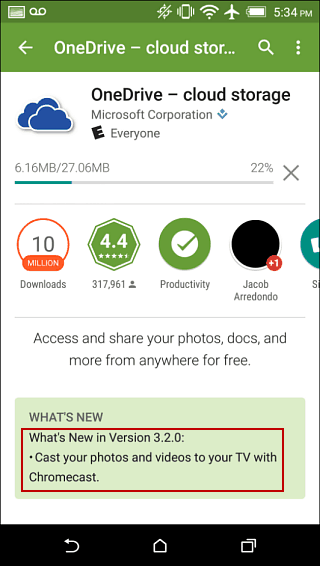 If you haven’t received the update yet, head to Google Play and update the OneDrive app to version 3.2.0. Under the What’s New section you will see that the ability to cast photos and videos to Chromecast has been added. Casting your OneDrive content to Chromecast is straight forward. Launch the OneDrive app on your Android phone or tablet and browse to the photos or video you want to display on the big screen. Then just simply hit the new “cast” at the top of the screen. Your photos and videos will scale up to use the full resolution of your television which makes for a nice presentation. This is much different than mirroring your device’s screen to the Chromecast. If you have a photo album you want up on the screen, you can simply swipe through it. Then, like with other video content you beam over to Chromecast, you can control basic playback. Also, as long as you’re casting from the OneDrive app, switching between different photo albums or videos is pretty seamless. This is a great feature if you use Microsoft’s OneDrive to back up your photos automatically from your Android phone. OneDrive is available for all platforms including iOS and Amazon Fire devices.